the largest, most significant cultural festival in Los Angeles since the 1984 Olympic Arts Festival. If you just count the number of days or each of the small repeated events, then this canard is barely creditable. If you really speak about the festival's significance to the culture of Los Angeles, I'm afraid Placido's statement has The Big Lie feeling about it. His statement is going to get repeated often in the near future. People will begin to believe it. 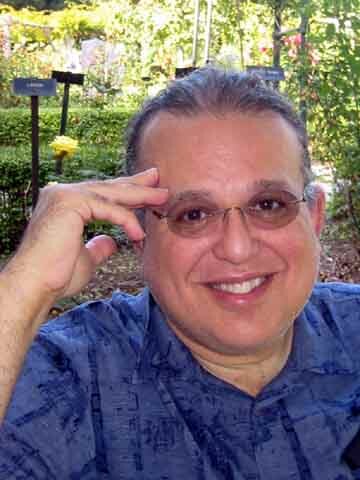 Two other Sunday pieces in the LA Times reported on upcoming performances of music by composers who were suppressed by the Nazis, Franz Shreker and Erwin Schulhoff. Maybe it's just a coincidence of local concert programming and newspaper editing but I wonder if this trend represents the subliminal notion that our current local Wagner-mania can be balanced somehow with composers who were victims of the Wagner-loving Nazis. Meanwhile, two other relevant articles, more interesting to me, appeared in Saturday's LA Times. Saturday papers don't get as many readers. Indeed this first article, entitled "Wagner tested, testy in 'Richard'" written by Philip Brandes, was not deemed worthy of inclusion can now be found here on the LA Times' website. It is a review of a play "Richard and Felix, Twilight in Venice" by Cornelius Schnauber. In it Richard Wagner, about to die, meets the ghost of Felix Mendelssohn who returns with knowledge of the future Hitler and his Nazis. 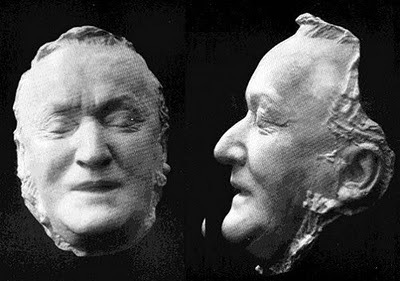 Mendelssohn confronts Wagner with this information. Wagner, it seems, is unmoved. I'm happy to report that Richard and Felix is a part of Ring Festival LA. 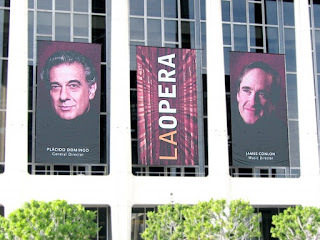 Presented at the Met Theatre in Hollywood Richard and Felix ends on April 25 over a month before the beginning of the first complete Ring performance at the Music Center. I'm guessing this Met is a space with about 100 seats - meaning that at most a thousand people will have a chance to see the play. Will even one of those people also attend LA Opera's Ring cycles? Wagnerds and Ringnuts ought to be the target audience. That's just my opinion. Accountability, of course, is difficult to pin on Wagner who died long before massive evil was committed to the sound of his own music. I think this unimaginable Nazi evil, the ultimate self-destructive lust for power, still stains the music of Wagner. That's very appropriate. Another Saturday LA Times article was about Denis Avey, a British soldier who was captured by the Nazis and sent to a prisoner of war camp near the death camp Auschwitz. He was forced to work alongside some Jewish inmates from the nearby camp. Incredibly, on two different nights he traded places with one of the Jews, sleeping and eating inside the death camp itself. Only recently has he told this story. Still, he said, he knew he was entering hell when he saw the body of a hanged man dangling from a gallows just beyond the entrance gate, which bore the infamous slogan "Work Sets You Free." Inside, as the camp orchestra played Wagner, the prisoners submitted to roll call, then awaited their rations. Why, I wonder, would the Nazis play Wagner for Jews. Wouldn't their "exalted" music be too good for Jews? Maybe they thought forcing Jews to listen to Wagner would demoralize them even more - a form of musical weaponization. Or, maybe, they thought Wagner was so potent, so uplifting, that the Jews would work harder, inspired by Wagner's music? The Nazis also used music to control prisoners in concentration camps. An orchestra of Jewish inmates was created to play joyous music to distract new arrivals as they disembarked from trains and awaited selection, and to perform rousing marches to energize prisoners as they marched off to forced labor. But did they play Wagner? Here's a quote from the second book of Richard Evans' 3-volume history of Nazi Germany, The Third Reich in Power (p.564). This is about pre-war Nazi Germany. Jewish musicians were not allowed to perform music by Richard Wagner or Richard Strauss; Beethoven was added to the list in 1937 and Mozart in 1938. "At Birkenau, music was indeed the best and worst of things," wrote the late Fania Fenelon, a cabaret singer from Paris who wrote the book Playing for Time, which was turned into a television movie starring Vanessa Redgrave. "The best because it filled in time and brought us oblivion, like a drug; we emerged from it deadened, exhausted," Fenelon said, "and the worst because our public consisted of the assassins and the victims, and in the hand of the assassins, it was almost as though we too were made executioners." Frank Zappa's quote "Music is the best" comes to mind. But Frank did not mean to suggest that music should be a deadening narcotic. What he meant was that music was the best, most uplifting thing of all possible things, anywhere, ever. Learning about how the Nazis used music, especially Wagner's music, ought to make us realize that some music can be given a dangerous, frightening downside. Wagner's death mask came from here. It seems Wagner will just not leave you alone. More realistically, I won't leave him alone. The overwhelming majority of people in LA will just ignore him. A very small percentage will spent days at the Music Center trying to listen to his music in spite of the awful acoustics. And then there's me. I'm surprised by my own passion. I have other Wagner posts planned - although I will try not to devote the blog entirely to the subject. Think of it as my own private fringe festival. Any one else want to participate?